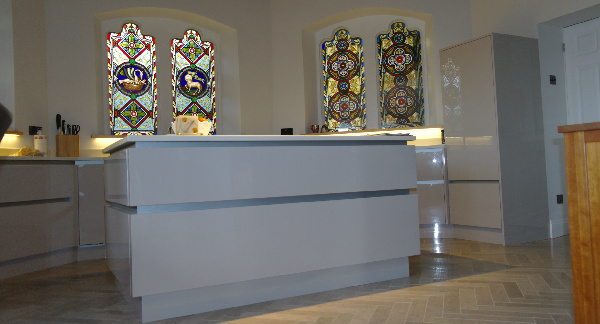 This project was an Architectural commission based in Rawdon, Leeds, which we started design work on in summer 2015. 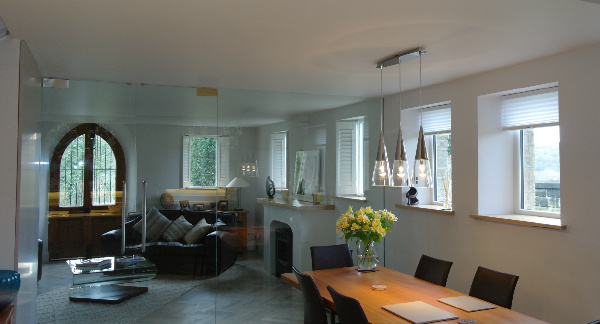 The brief involved relocating the existing kitchen to the opposite side of the house, where two rooms would be transformed by the removal of stud walls and the inclusion of a frameless glass screen and door. 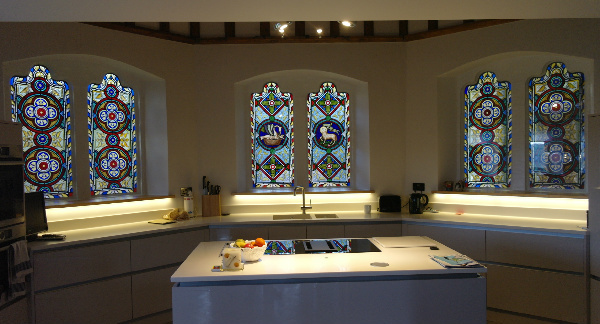 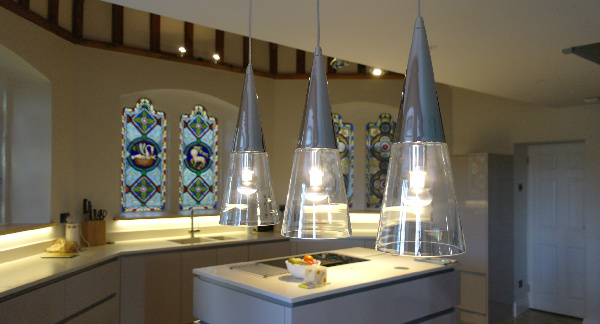 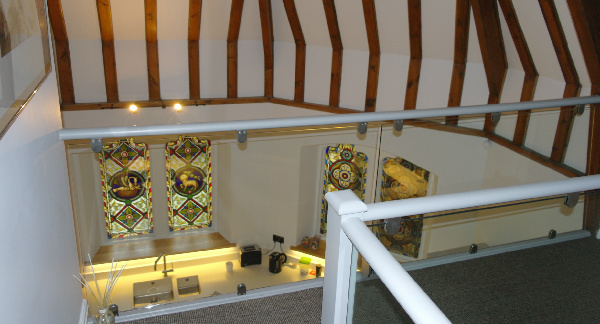 The kitchen would benefit from a gallery landing above, offering good views of the kitchen layout and an interesting perspective on the original stained glass windows, which have been lovingly restored, and provided with secondary glazing, in order to improve the thermal performance of the building. 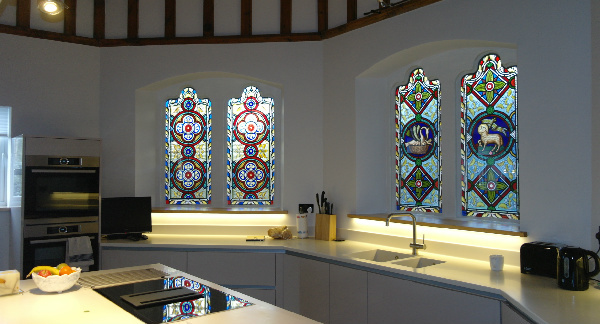 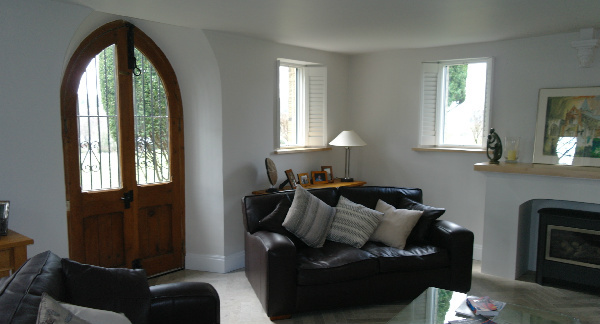 In the location of the original kitchen, a new snug and office were formed, and these works involved the introduction of a multi-fuel burning stove, a bespoke window seat and bespoke joinery items such as shelving for books. 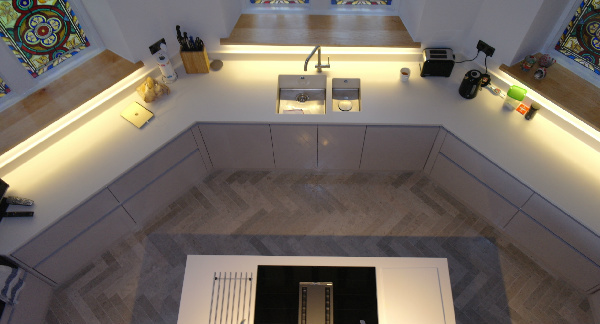 Architecturally, we have designed elements which are quite traditional, such as the new flooring, and also introduced some contemporary elements, such as the kitchen units themselves and the frameless glass screen, which help to create an interesting fusion between traditional and modern.